Do books have a half-life? 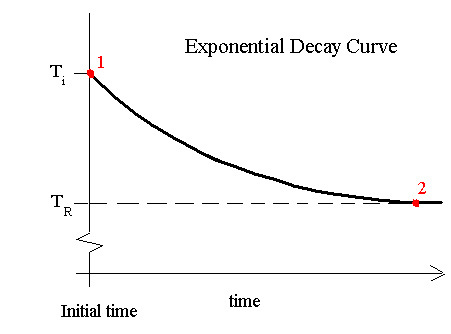 In other words, does exponential decay apply to the number of remaining copies of the first printing of a book? If the initial print run of a book were 10,000 copies and the half-life were 10 years, then after 20 years there would be 2,500 copies left and after 60 years, around 150 or so. Of course different books would have different half-lives. Luxurious hardback books would have quite a long half-life, whereas poor quality paperbacks would have a much shorter one. Experience also suggests that the half-life of literary novels and non-fiction books (seen as ‘worthy’), is higher than the half-life of crime fiction or westerns (seen as ‘trashy’ and disposable). I pose the question in the context of Services Editions, in an attempt to explain why so few of them are left. How is it that books published in such enormous quantities can be so hard to find? A typical print run for a Services Edition was around 50,000 copies – far higher than a typical print run these days. We know that 50,000 copies were printed for each of the first 70 Guild Services Editions, a total of 3.5 million books – yet a quick search on ABE doesn’t appear to show a single copy for sale, other than later reprints. It’s a similar story for the early Collins Services Editions, and for the one million Free Victory Gift books given away by Hutchinson. • Many would have been sent overseas, or taken abroad as troops advanced. Few would have been brought back, and most left behind would be unlikely to survive. • Climate conditions in some territories they were sent to, probably didn’t aid survival of cheap paperbacks either. Overall there were probably over 30 million Services Editions printed, but you’d never know it from the numbers around today. The only ones that are at all easy to find are those where surplus copies were released to WH Smith for general sale after the end of the war. That may be the first clue to the half-life of Services Editions. If they survived the war and made it as far as an individual’s house in Britain, then they had a much higher chance of survival. Most though never made it that far. If we started with 50,000 copies of an early Guild edition, is it reasonable to think that maybe 40,000 had already gone by say 1948? If 10,000 remained and from that point on a half-life of 10 years applied, we’d by now be down to that 150 or so. That doesn’t seem an unreasonable estimate of how many might remain, but most of these would be stashed away in attics and gradually disappearing as attics and houses are cleared. In another 20 years there might be more like 40 left and the question becomes whether or not any at all are being preserved in libraries or collections. On the other hand it might be equally plausible to suggest that only 5,000 were left by 1948 and the half-life from then on was 5 years rather than 10. On that basis we might already be down to the last one or two and the effort to preserve any copies at all is urgent. Any help would be much appreciated!